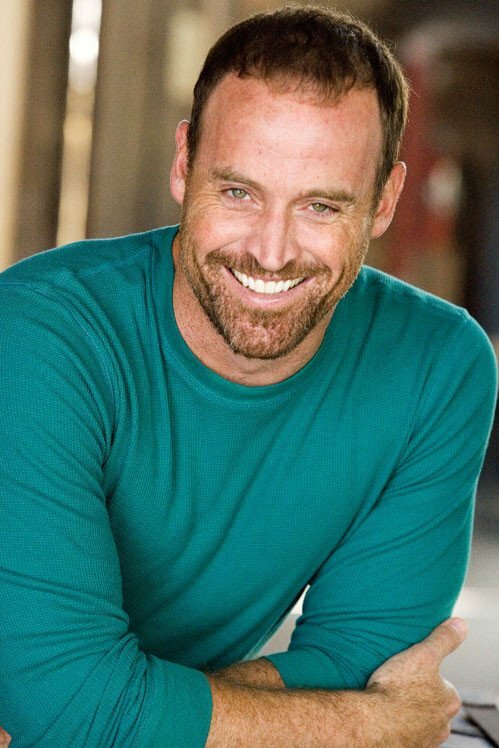 Matt Iseman, MD has been selected to be the 2014 recipient of the Invisible Disabilities Association’s “But You LOOK Good” Inspiration Honors Award. Matt has been chosen because as someone who lives daily with rheumatoid arthritis he inspires others in the midst of their challenges and triumphs. Matt combines his experience as a physician and his humor as a comedian to bring insight and laughter to others on their journeys of illness and pain. Although he always loved being the center of attention, Matt started down a very different road. After graduating with honors from Princeton University and the Columbia College of Physicians and Surgeons, where he received his MD, he returned home to the University of Colorado for his residency in Internal Medicine. Then, in a move that shocked patients and parents alike, he quit his job as a doctor and moved out to Hollywood to pursue standup comedy and he never looked back. Matt quickly began headlining clubs across the nation and was selected as one of 10 comedians to perform at the 2002 Winter Olympics in Salt Lake City, Utah. His world experience did not stop there as he made his first overseas trip to entertain the troops on 9/11 of that same year to perform in South Korea. Since then, he has bunkered down with the troops sharing his comedy in Kosovo, Bosnia, Croatia, Germany, Kuwait, Kyrgyzstan, Uzbekistan, Afghanistan and Iraq. Around that time, Matt also started appearing in commercials for Pontiac, Dodge, JCPenney, PlayStation, Bank of America, Off! and Lamasil. He fulfilled a lifelong dream to be a superhero when he was featured in a campaign for Net10 as Captain Obvious. No, he didn’t get to keep the suit. And, no, you can’t visit the Fortress of Obvioustude. You may also recognize Matt’s voice from campaigns for PacTrust Bank, Six Flags, Land Rover and as the voice of DirecTV for three years. He also voiced his first video game, Command & Conquer 3, which thrills Matt as he finally can now write off playing video games as business research. Matt began his hosting career with the show Scream Play on E! which allowed Matt to combine his love of movies and dangerous stunts. He then got lucky as he ran the streets of Las Vegas hosting Casino Night for GSN. Shortly thereafter, he started a 5 year run as the Go to Guy on Clean House, the #1 show on the Style Network. He also hosted a spin-off show called Clean House Comes Clean and tackled 5 Messiest Homes in the Country, garnering the highest ratings Style had ever seen and earning Matt a Daytime Emmy (the first ever for the network). Matt also combined his lifelong passions of sports and laughing to host Sports Soup on Versus. He currently hosts the smash hit American Ninja Warrior for NBC and he narrated the Dumbest Stuff on Wheels, the #1 show on the Speed Channel. He hosted a special for the History Channel called Invisible about the world around us that we don’t see. Matt is adding the title Producer to his resume as he created and sold his first show called Saved by Design for the Style Network. Matt made his movie debut in Transformers 2 and made appearances on the Drew Carey Show, NCIS, Courting Alex and had a recurring role on General Hospital. No, he did not play a doctor. He’s appeared on Premium Blend on Comedy Central, Comics Unleashed with Byron Allen and he’s a regular panelist on RedEye. His CD, I Want a Happy Ending, has become an iTunes sensation. You can also hear his comedy on SiriusXM, Pandora and countless radio stations around the nation.